This 14K yellow gold Art Deco ring features a round brilliant diamond center with two single cut diamond accents on either side. 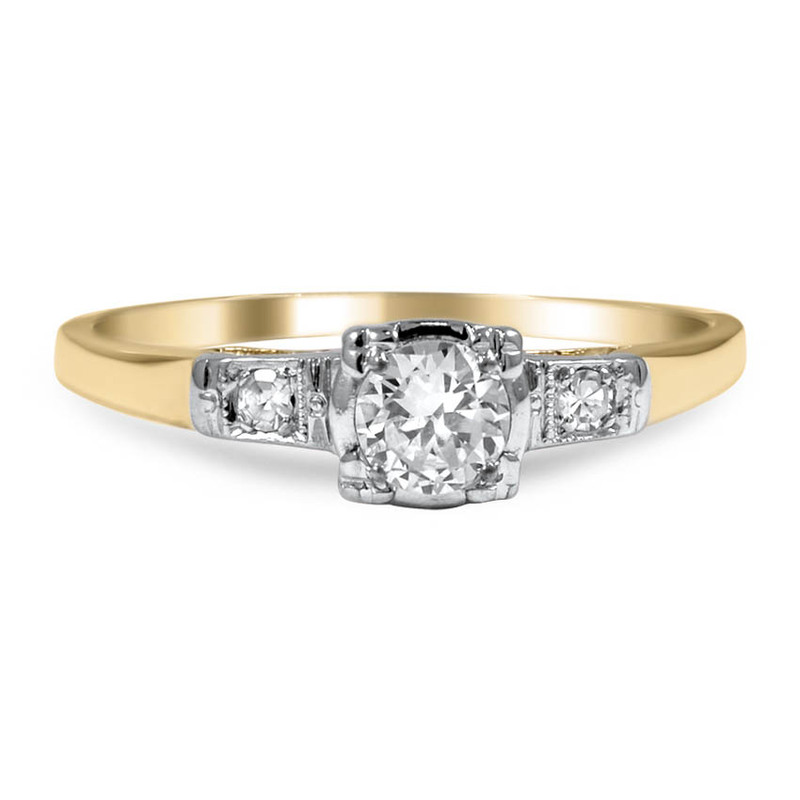 The mixed metal setting creates a timeless look to this classic 1920’s piece (approx. 0.28 total carat weight).